My daughter likes to avoid pinching fingers on St. Patrick’s Day but green’s not really her color and every year she has a hard time scrounging around for some green accessory to add to her outfit. Popsicle stick bracelets were the perfect answer. 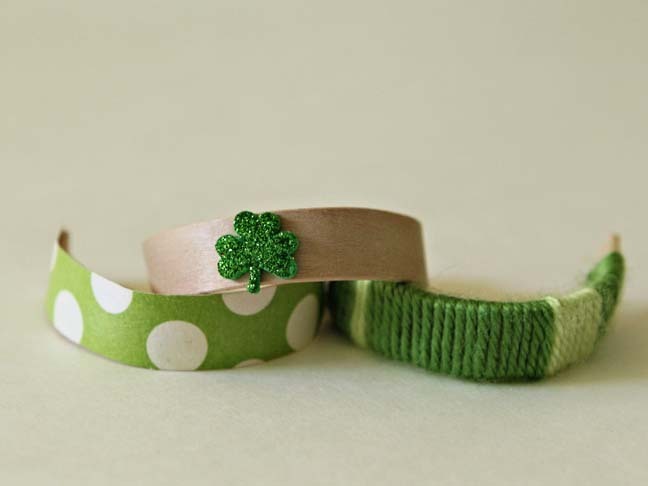 It made for a fun afternoon of crafts, and she walked away with a stack of green bracelets that she can wear on St. Patrick’s Day. 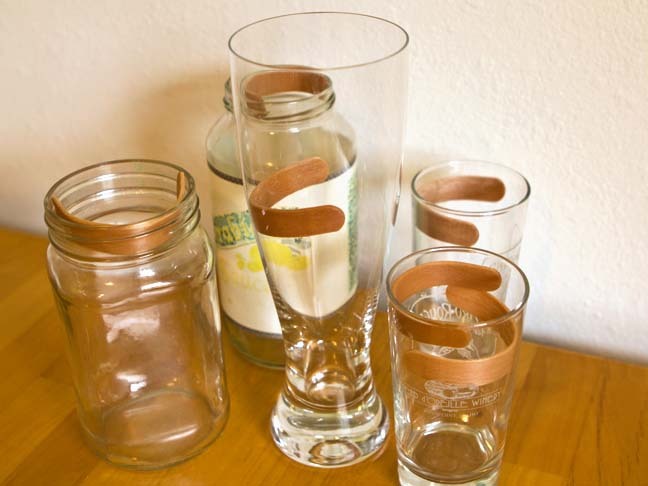 The only supplies you absolutely need for this project are Popsicle sticks. You can get them the old fashioned way, by scarfing a few Popsicles, or you can pick up a whole bag at the craft store for a few dollars. 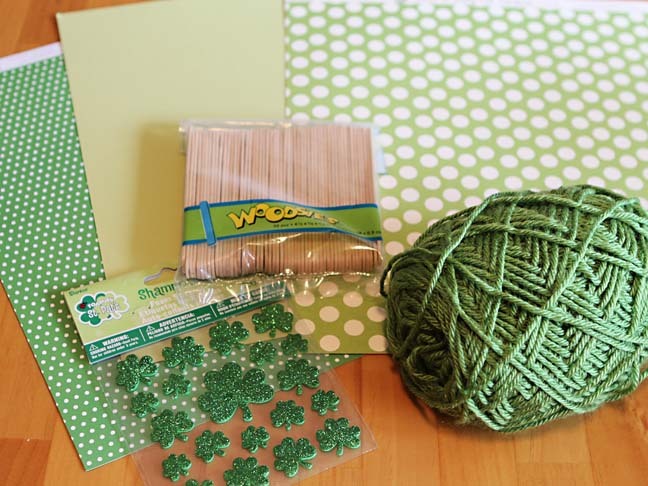 For your green embellishments, you can keep it simple with stickers and markers or go crazy with pretty scrapbook paper and yarn. Step 1: Boil your Popsicle sticks. Most of the posts around the web say to do so for fifteen to twenty minutes. However, I had the most success leaving them in there for an entire hour. Also, about a third of the sticks will end up splitting instead of bending post boil, so account for this and make extras. Step 2: Once your sticks are done cooking, they’ll be malleable but not soft. Use your hands to gently curve the sticks and then place them in a cup or jar to hold their shape. The trick here is finding something that’s the same size as the wrist you want to fit. Step 3: Allow the sticks to dry overnight. Once they fall to the bottom of the cup they were stored in, you know they’re ready to be decorated. Scrapbook paper and Mod Podge work really well. 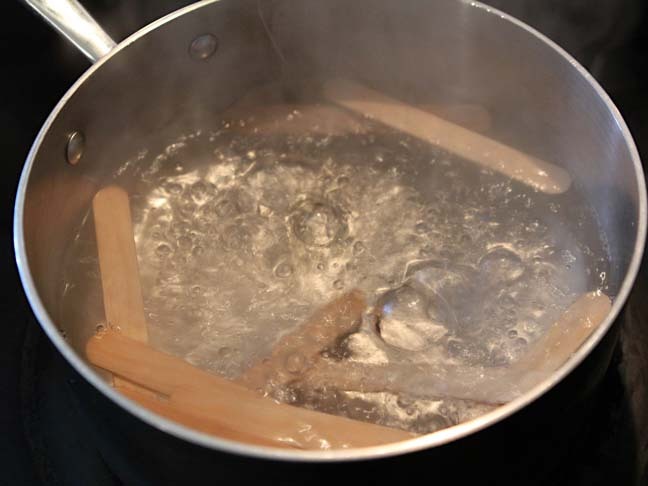 Just trace and cut your strips around the Popsicle sticks before you boil them. 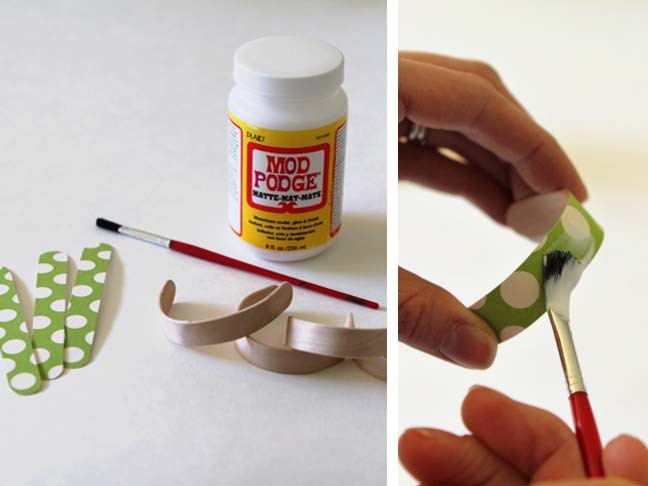 Step 4: Cover your newly formed bracelets with the Mod Podge, apply the paper cutouts, and cover with another thin layer of Mod Podge. Step 5: You can also experiment with stickers, markers, paint, or even yarn. The sparkly foam clover sticker was my favorite adornment, and it was easy enough for my nineteen month old to put on. That’s it! 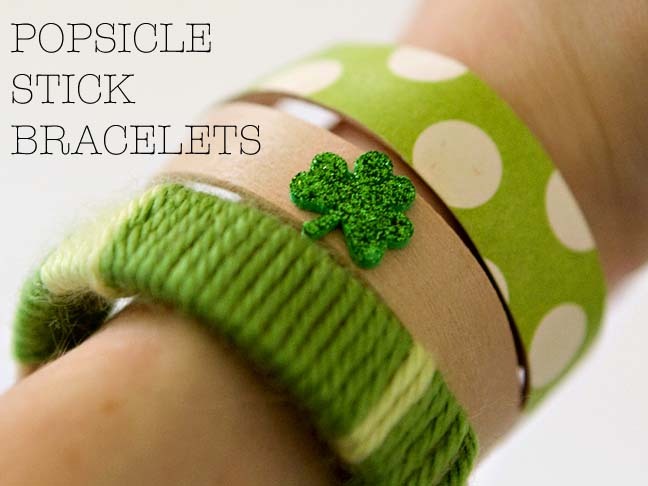 Slip on your bracelets and venture out on St. Patrick’s Day free of the fear of being pinched. Stephanie Morgan is a Seattleite and mother of two under the age of three. She’s the founder of a lifestyle and design blog, Modern Parents Messy Kids, out to prove stylish parents and active kids can successfully coexist. In her former life she was a Doctor of Audiology and worked with pediatric patients. She now spends her days racking her brain and scouring the internet for simple ways to connect with her kids. She gravitates towards anything that’s accessible to all parents (including the crafting-impaired), fosters development, and has a bit of a modern edge.